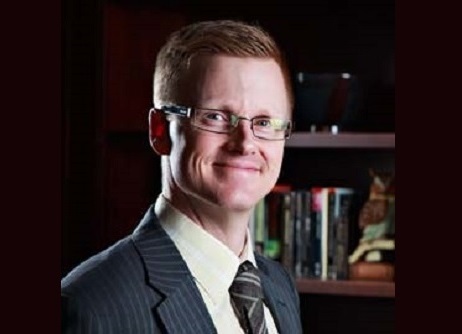 Primed with a keen sense of business, work ethic, and drive to figure things out, Haakensen was eventually able to attend university, earning a bachelor’s degree in commerce with great distinction in the process. After that, he spent the first 10 years of his career with what he described as one of the best starts he could have. Haakensen also gives credit to his partner Kevin Hegedus, a fellow honouree on Wealth Professional’s list of Top 50 Advisors and co-owner of Prairie Wealth Management. But while he’s had a lot of help along the way, he also said that being a consummate reader and goal-setter have helped him move forward. He and his colleagues also help clients with many other goals, which could include saving up for a cottage or to fund their child’s education. They also address the unique issues facing a lot of farm owners, which include complications in equalizing the estate among multiple heirs, ensuring that any estate-tax liabilities would be taken care of to avoid liquidation, and so on. “A lot of times, the average farm today is a lot more sophisticated than 25 years ago and, on average, quite a bit larger, so you could be dealing with corporations, family trusts, holding companies — different things like that that have their own different circumstances and unique planning issues as well,” he said. On the bright side, Haakensen said his firm has been in a good position for other regulatory and market curve balls. A case in point is the fact that he and his partner became licensed discretionary portfolio managers in 2012, which makes operating in a fast-paced, transparency-oriented industry much easier. It has also let them position many of their portfolios into different asset classes, which include more than $100 million dollars’ worth of structured notes at four different banks and some promising alternative assets in North America. He anticipates that the robo movement won’t be as much of a threat as many advisors think, and could actually help many good advisors expand their practices. “I think they do play a part in the market for clients that are not seeking that top-notch planning, taxation, estate advice — those are things that our team brings to the table,” he said.